54/365 This sale has ended. 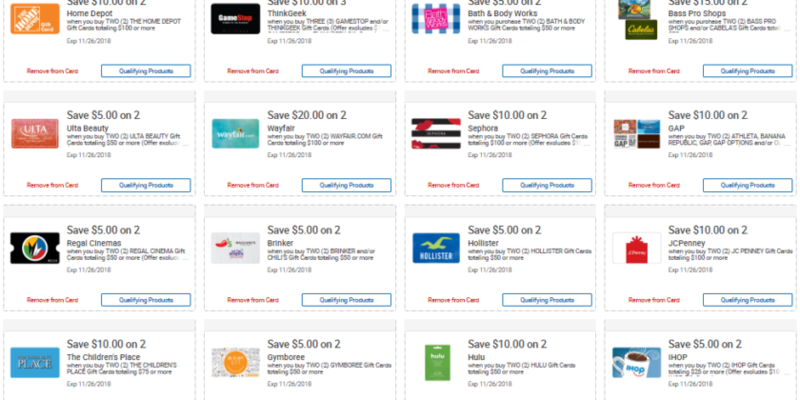 Kroger is having a huge gift card sale this week. 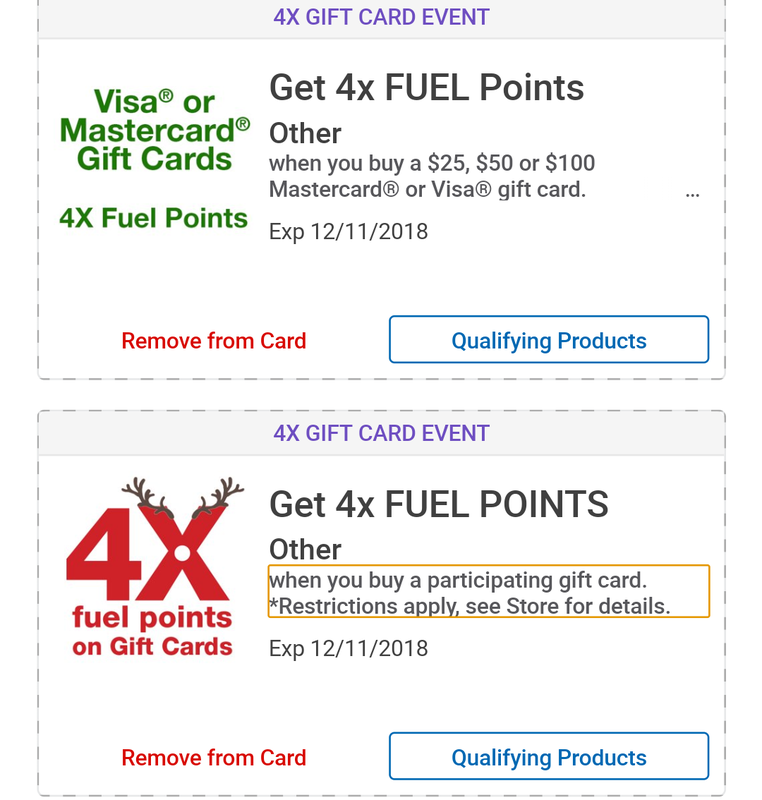 Both general and Visa/Mastercard gift cards are included in the 4x Fuel Points promotion, although the terms state that only “participating” cards qualify, so double check before you buy any particular branded card. Besides garnering you 4x fuel points, Visa and Mastercard cards have a $5 discount on the fee, so you’ll only pay 95¢ per card. 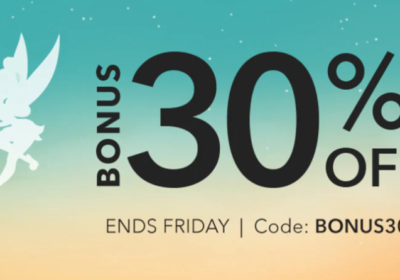 Paired with 4x fuel points and any rewards you’re earning on your credit card, this could be a minimal fee to pay, though there is a limit of 1. 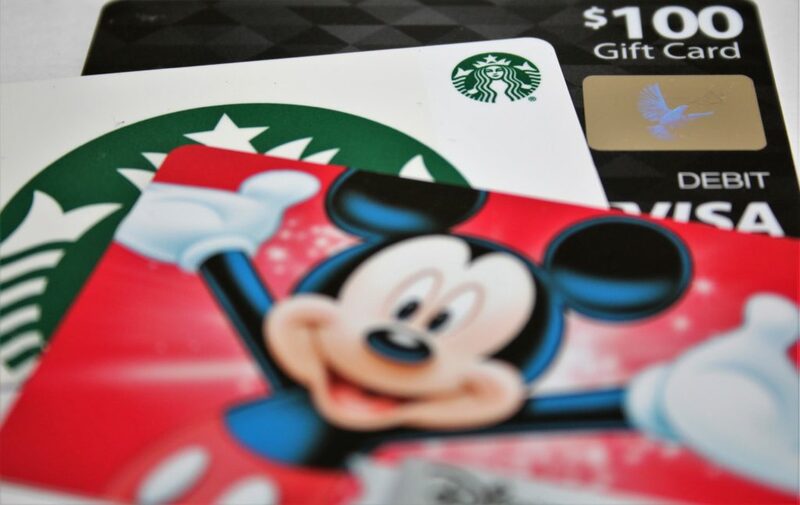 The value of the other gift cards on sale vary depending on your needs. 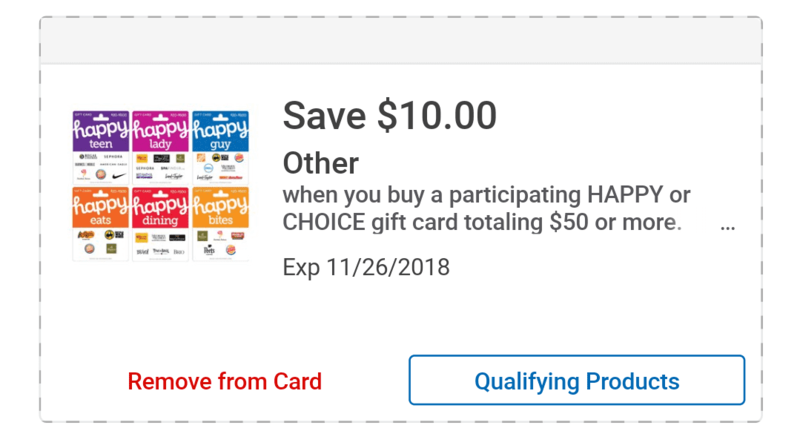 I have my eye on the new Happy multi-branded cards since they include Burger King and are essentially 20% off. I’m sure everyone can find something they can use for gifts or holiday shopping in this lineup! For us, the math works out like this. 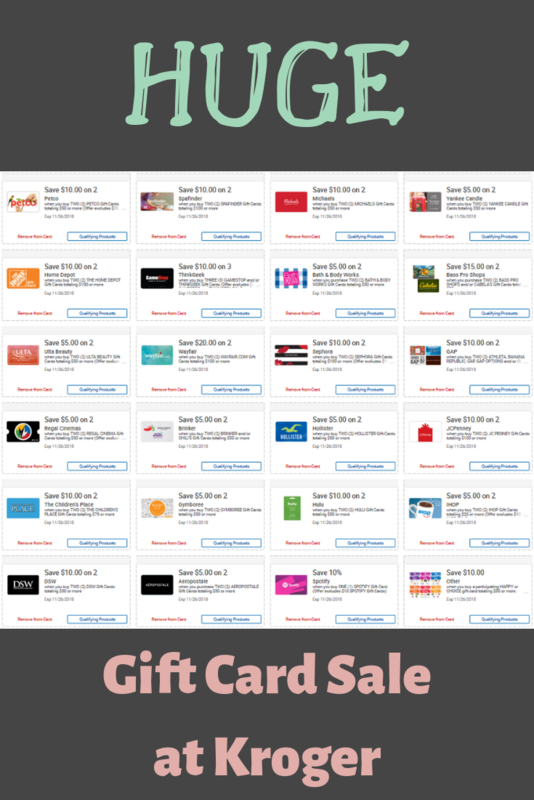 For each $250 we spend on gift cards, we get $1 per gallon off our next gas fill-up. Since our largest car’s tank holds about 17 gallons, we can save at least $17 over $250, or 6.8%. Now, I don’t stop there, of course. We also have rewards-earning credit cards at the grocery store. 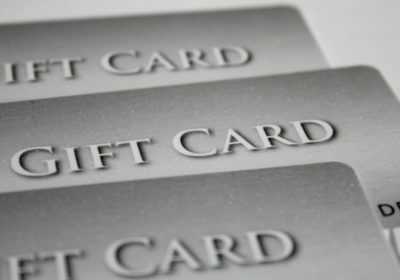 I’ll calculate for two cards, because my Hyatt card has a special 5% discount if I spend $500 in November in several categories, including grocery stores, so $250 is halfway there. My other grocery go-to is our American Express Blue Cash Preferred Card. It gets a whopping 6% cash back on up to $6000 in groceries. So for us, it’s either 250 Hyatt points plus $12.50, or $15 cash back on the AMEX. Even though it’s not the higher percentage, I’d probably go with the Hyatt card to get some points to top off my account. If you’re going all cash, that percentage is up to a 12.8% savings on a 17 gallon tank. You could do even better if you have a larger car. Be sure to clip coupons to your account and use your number or card at the register to get the rewards properly credited. If you’re not sure which stores are owned by Kroger in your area, take a look below. You can find this clickable image here if you scroll to the bottom of the page.